Seminar companies, trades shows, weddings : here are some years of areas of intervention Hervé Troccaz magician mentalist in London, upscale. This is a first class magician. Of French origin, he occurs everywhere in France is in London for leading events. We saw in particular at the show of haute horlogerie of Geneva for example. A specialist in close-up magic, he is a member of two prestigious clubs: the Magic Circle of London, known as « the world’s first society ». This illusionist in London is also a member of Magic Castle in Hollywood. With his French accent « so cute », but in English my perfect, he will surprise your guests and your guests with very strong and spectacular illusions. Here are some of the areas of intervention and specialties of Hervé Troccaz, mentalist magician in London. Member of Magic Circle on London and Magic Castle in Hollywood, Hervé Troccaz offers innovative solutions for companies. This conjurer has worked for brands like Samsung, Cartier and Hermès. It is characterized by very strong effects within a few centimeters of the spectators. Imagine this magician making disappear and reappear your ring, pass a bottle across the table or levitate a ring Effects made with a lot of poetry by this mentalist magician in London. Working exclusively in the field of luxury, it offers high-end services, illusions tailored to your industry. 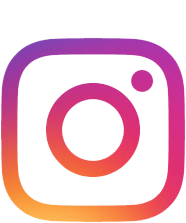 It can offer you digital magic, a modern approach to magic, striking, original and will stand out from your competitors. So put forward your logo, promote via smartphone or tablets your new products. Discover how magic is at the service of communication. The results are amazing and the returns on investment many ! Entrust your event to iPad magician in London to develop your business and give a positive image of your company. Hervé Troccaz, magistrates for more than 20 years, animates every year many unions. Member of the Magic Circle, he is fluent in English and his French origins allow him to offer original performances both in French and in the language of Shakeapeare. The use of an illusionist for your wedding will be very relevant. Indeed, a wedding is a unique day in a life, placed under the sign of good humor. 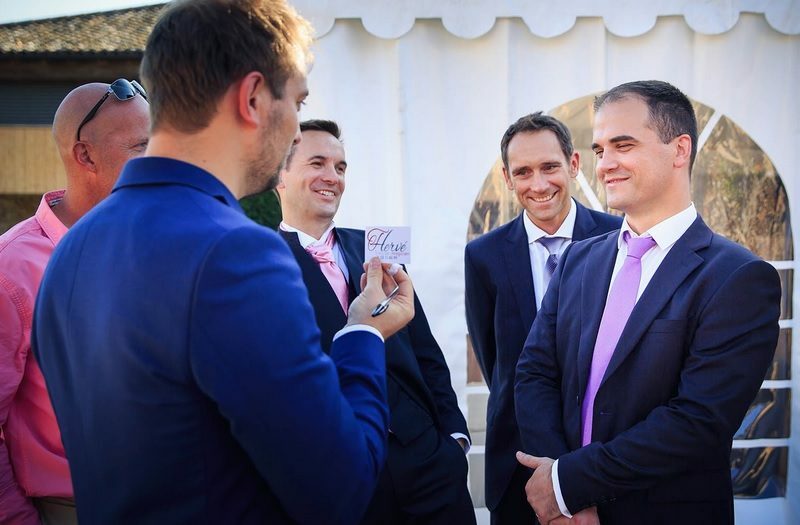 Therefore, Hervé Troccaz, a first class mentalist magician in London, brings a touch of magic to your wedding as you walk from group to group. He can be present either during the wine of honor, or at the time of the meal. However, in his experience, he will instead direct you towards a magic performance during the first part and the wine of honor, more appropriate as it will thus disrupt less the service and animations designed by the witnesses of your wedding. Trust these two decades of experience, and its willingness to personalize its benefits to the best. 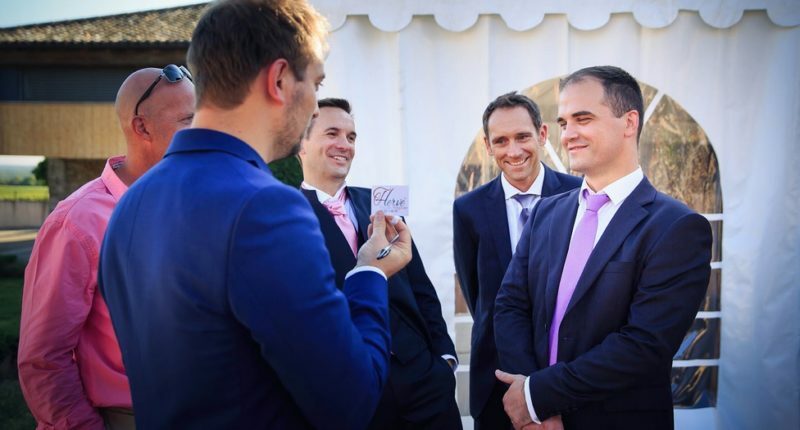 Upon your engagement, Hervé Troccaz will conduct an interview with you to learn more about your personality or the circumstances of your meeting. The illusionist in London will perform a number of magic tricks referring to the couple’s story. Warm and fluent in English, its charm will surely do wonders during your wedding. Do not hesitate to ask her for a free quote ! 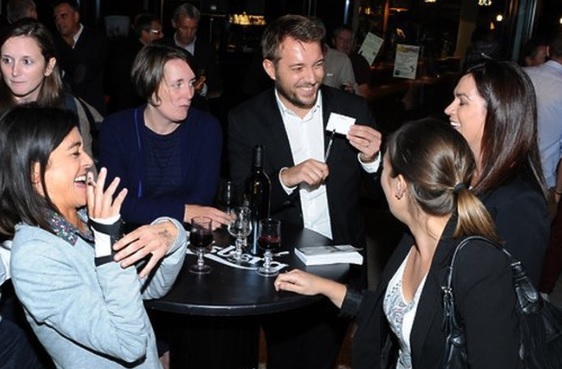 Another specialty of Hervé Troccaz, magician went up in London: the mentalism. Very different from pure magic and manipulations, this discipline makes it possible to propose a different approach to the world of illusionism with series of experience that will allow the spectators to play with their capacity of the human brain. Between thoughtful readings, predictions or operations of mental calculation as well as telekinesis, these experiments proposed by Hervé Troccaz, mentalist in London, will leave a lasting memory to more spectators. The show of mentalism combines various experiences that invite us to question our intellectual capacities, or fate there are concrete examples like the love story of Marcel Cerdan’s Piaf. With this historic background, the one-hour mentalism show will make you spend an excellent time with a very wide palette, ranging from astonishment to amazement. To achieve his goals, the mentalist in London uses many tools such as PNL, better known as « neurolinguistic programming », body language or cold reading. Hervé Troccaz, a mentalistic magician in London, offers you different formulas of fisrt class magic according to your budget and your needs. Do not hesitate to contact him for any quote request!